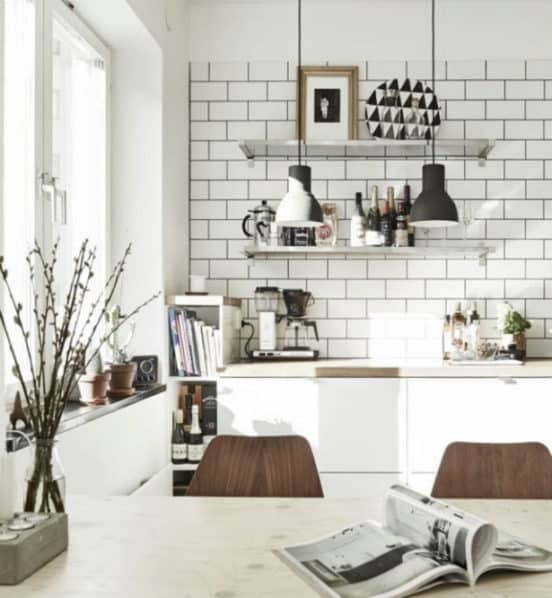 Scandinavian design is all the rage right now, due to its minimalism and coziness. The style is rooted in the lifestyle of the Nordic countries, with their long winters and constant presence of the natural world. 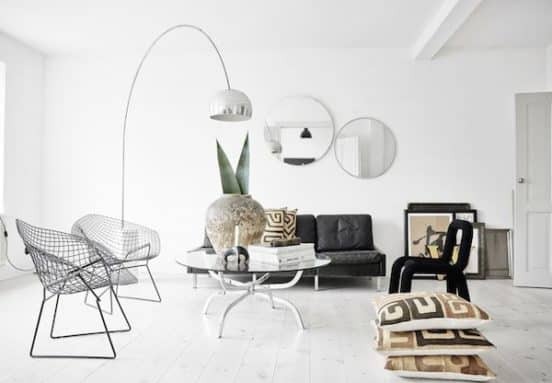 Scandinavian designers have articulated a look that eschews complex, ornate styling in favor of simple and modern vibes. The interiors are highly practical and clean, without being cold. Let’s discuss the basics of great Scandinavian design. The three most important building blocks are natural light, wooden floors and straight lines. The Nordic winters are dark, long and cold, and that’s one reason that Scandinavian designers focus on keeping things light. Housing is characterized by large windows that make use of the light from outdoors. Natural light reflects off the light interiors that this style favors, making even the smallest spaces seem large and open. Light wood floors complement the natural light of the Scandinavian home. Most Scandinavian design incorporates light woods like ash or oak. Alternate materials like bamboo are also popular for creating a visual look that meshes well with the other design elements. Nearly every item in a room, from furniture to accessories, are very clean with simple lines. This means the style favoures very defined spaces which also emphasize functionality. layout combine to create a pragmatic approach to living. Scandinavian designers focus on creating a room that is easy to live in. 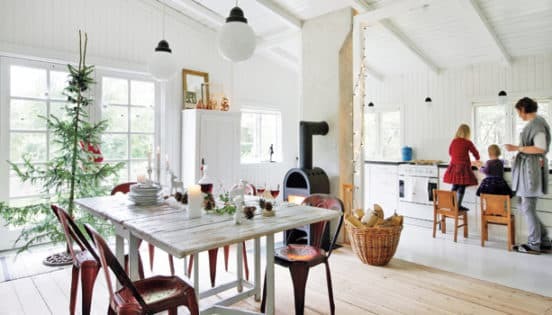 this is one reason that the style is adaptable to almost every kind of home, from a 266 foot tiny house to a large 10-room house. The layout is often created with every member of the family in mind, and furniture and accessories which can do double duty. The interior of a Scandinavian designed home stays away from bright colors in favor of more muted hues. This does not mean, however, that the home is bland or boring. The colors simply work to create a layered look, putting focus on a few key objects to add color and depth. Scandinavian designers are thoroughly modern in their appreciation for unfussy furniture. Mid-century modern styles are still the dominant influence on Nordic furniture. Again, the focus is on more muted tones like grey, tan and off white, which makes the entire room look clean. The furniture also works well with other design elements. 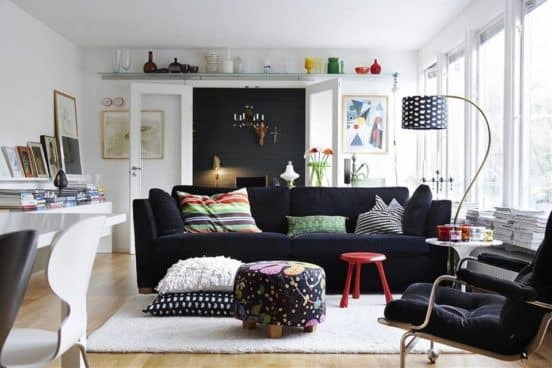 Finally, Scandinavian design finishes a room by pulling everything together with accessories. The placement of Scandinavian accessories looks completely natural (and indeed it is practical), but this is highly strategic. Contemporary accessories are used throughout the interior, but again, the focus is on not overwhelming the space with too many objects. 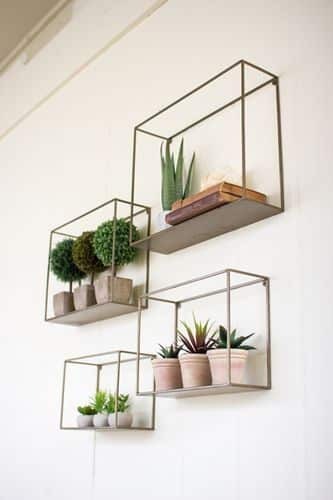 This style fits well with the aesthetic of decluttering one’s life. Shimmering lamps, glass vases, rustic photo frames and the occasional whimsical piece add visual interest and fun. To adopt this style, focus on keeping only the accessories which mean the most to you.